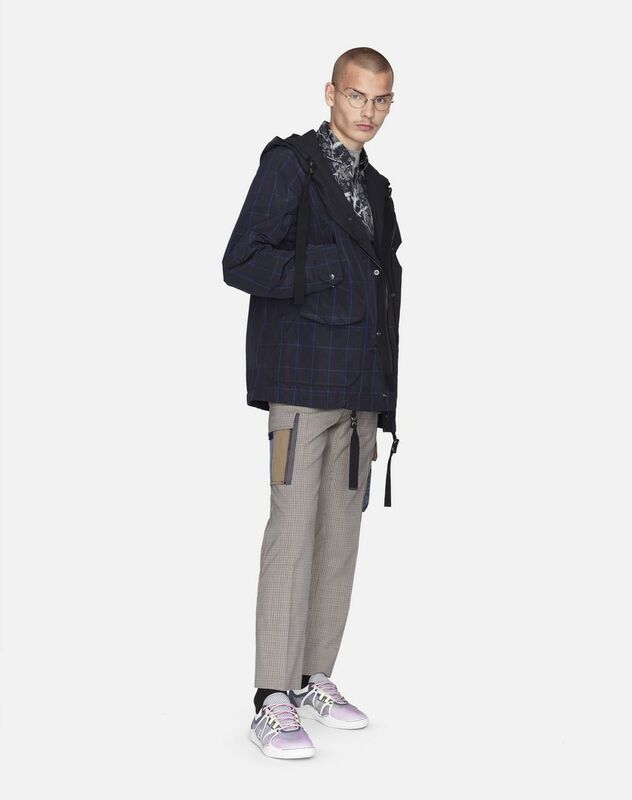 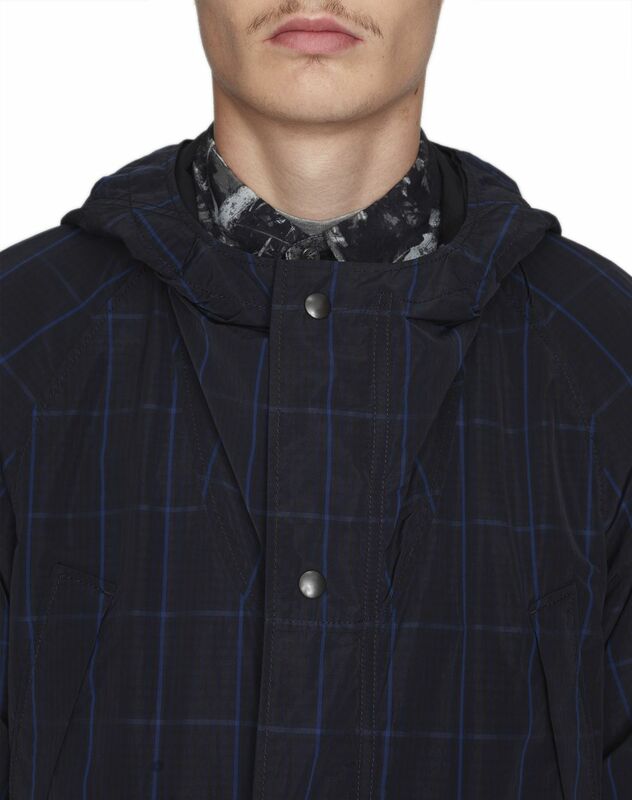 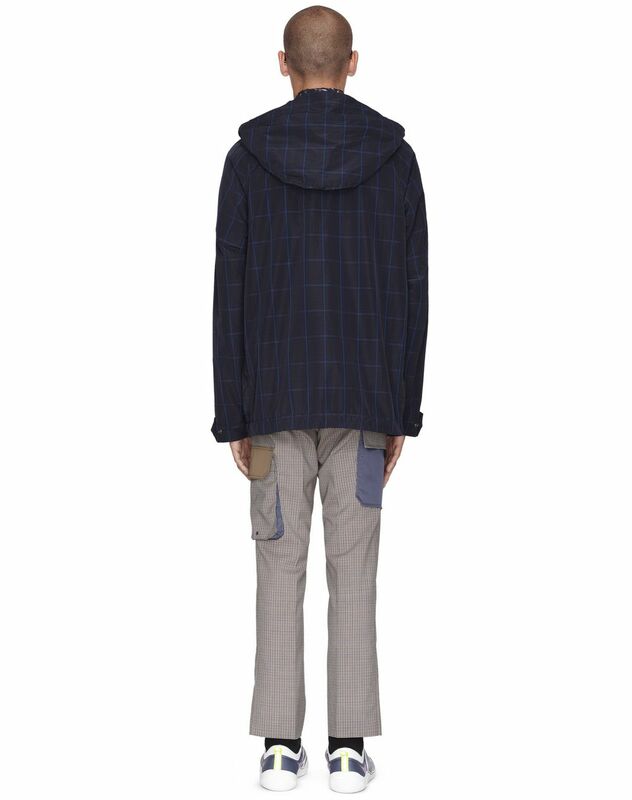 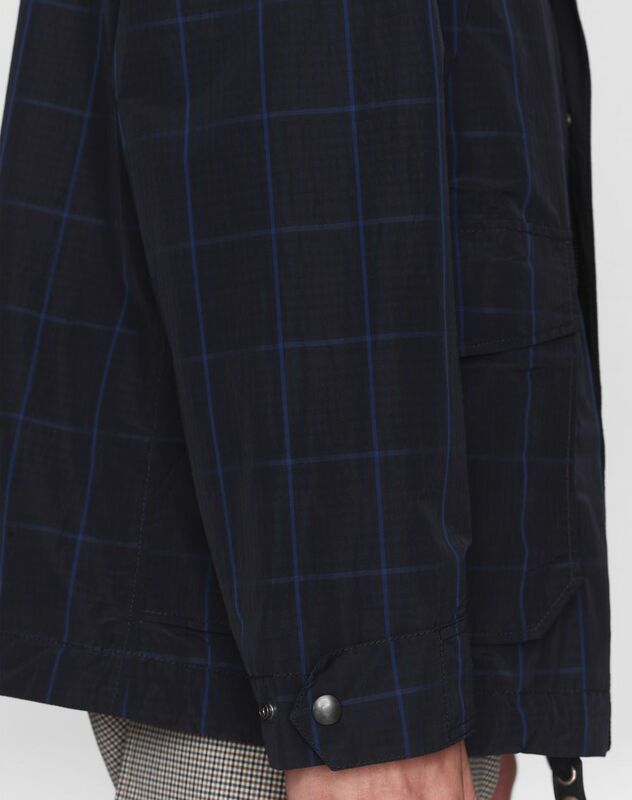 Navy blue checkered parka, welt pocket on the chest, side flap pockets, hood with drawstrings, front fastening with press studs and silver-finish zipper with exclusive Lanvin-engraved zipper pull. 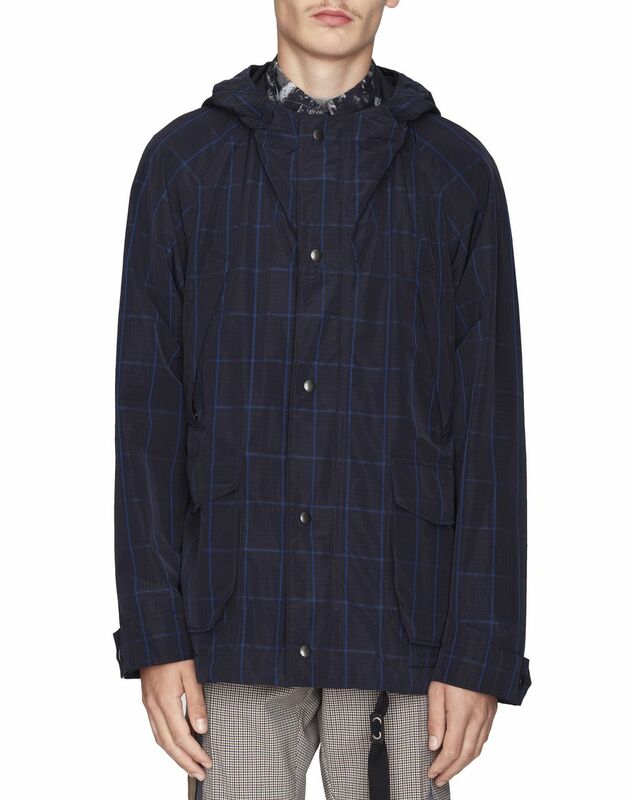 This season, Lanvin is offering a trendy, comfortable navy blue parka. 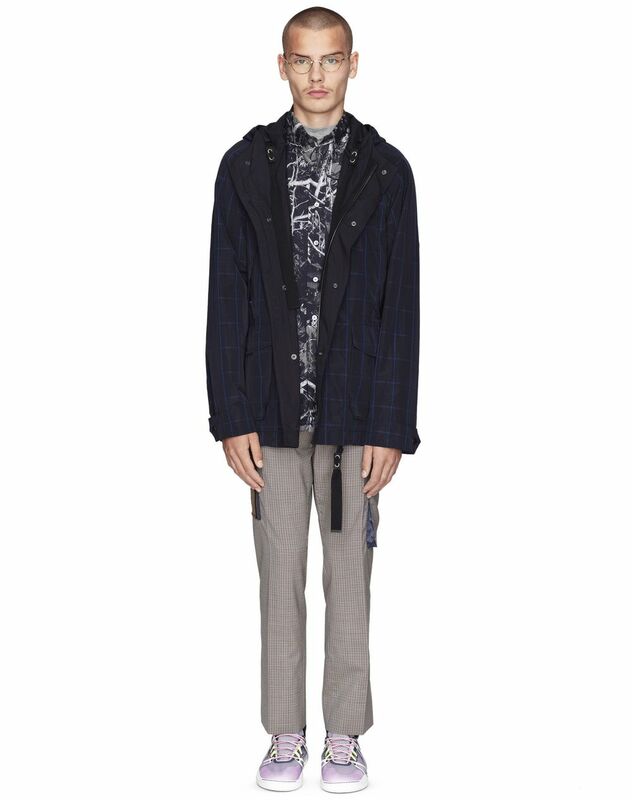 All throughout the year, this design will give your outfit casual, urban flair.